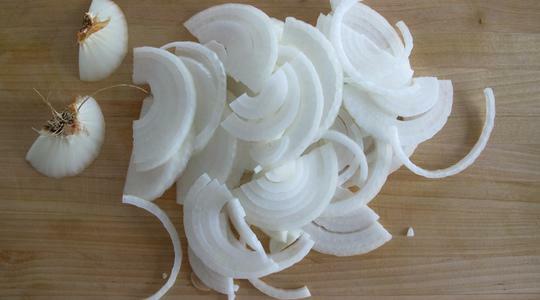 Slice the onion into thin half moons. 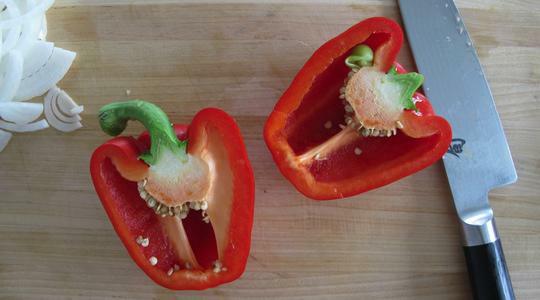 Cut the bell peppers in half through the stem. Cut out the stem and white membranes and shake out any seeds. Slice each half into thin strips. 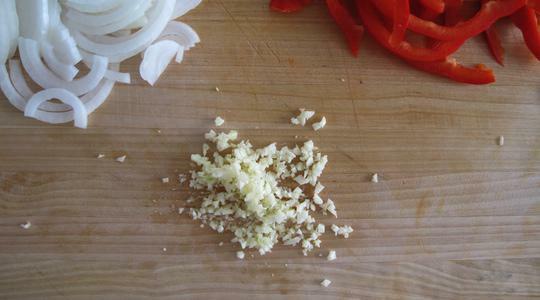 Chop the garlic. 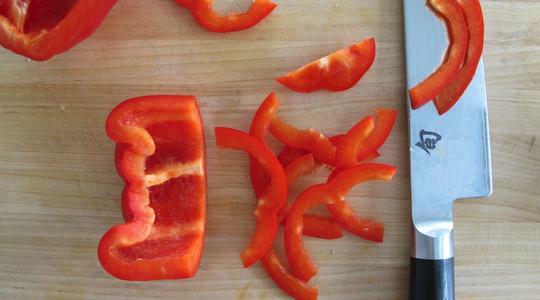 Place a large skillet on the stove and turn the heat on to medium-high. Add the oil and heat until it shimmers (about 1 minute). Add the onion and ¼ teaspoon of the salt and cook, stirring often, until tender, 5 to 6 minutes. 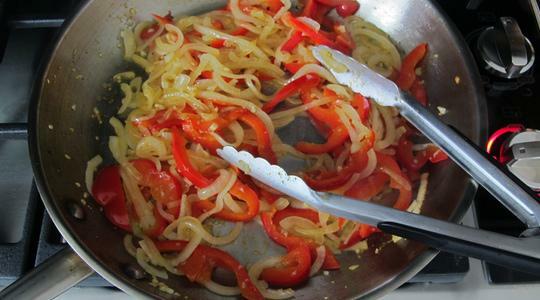 Add the bell peppers and garlic cook, stirring often, until tender, 5 to 6 minutes. Add the smoked paprika and cumin and stir for 30 seconds. 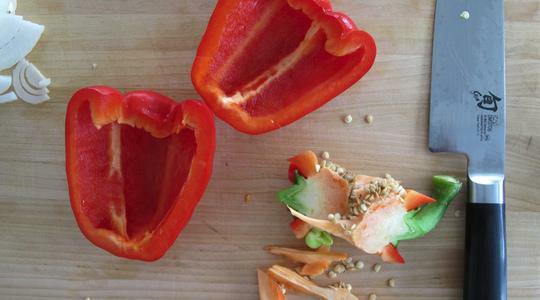 Add the tomatoes, black pepper, red pepper flakes and the remaining ½ teaspoon salt. Let simmer, stirring occasionally, for 5 minutes. If the sauce looks a little dry, add up to ¼ cup of water. 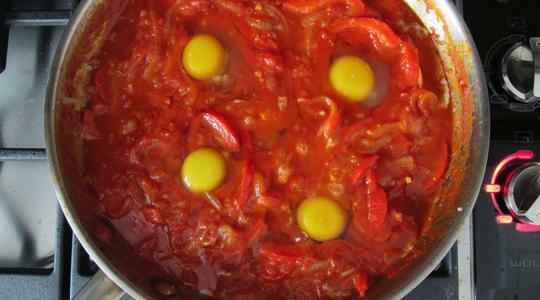 Using a spoon, make a little well in the sauce and crack an egg into it. Do the same with the remaining eggs (however many you like…up to 8). 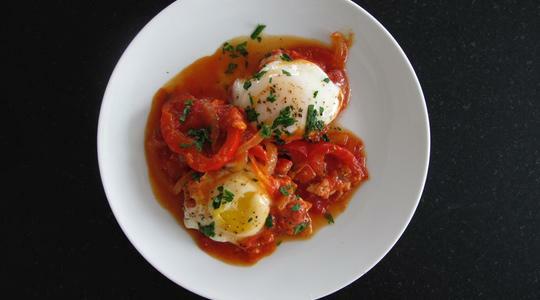 Cover tightly with a lid and cook until the egg whites are set but the yolks are still soft, about 8 minutes. Meanwhile, chop the parsley. Sprinkle a little more salt and pepper over the cooked eggs. Scatter the parsley over the top and serve.